Hair Oil includes horsetail, nettle, cedarwood, pine and rosemary to revitalize and support hair growth. 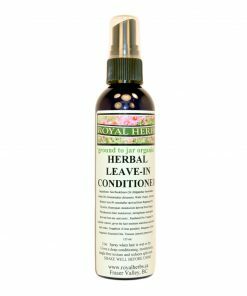 Our Herbal Leave-In Conditioner features sea buckthorn oil, jojoba and evening primrose with other herbal extracts to create a light textured, non-greasy spray in conditioner. 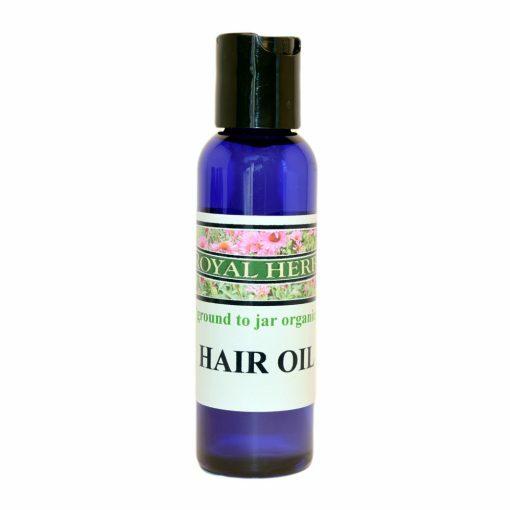 Moisturizes and untangles hair. 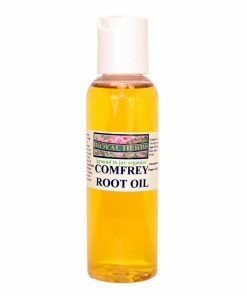 Prepared with wild harvested fresh Comfrey root for topical use of healing wounds and scarring. To be used after signs of infection are gone to proliferate skin regeneration. Not to be used on infected injury. Can be used on all skin types. Our home grown Calendula is from the marigold family and is the #1 herb for healing the skin. 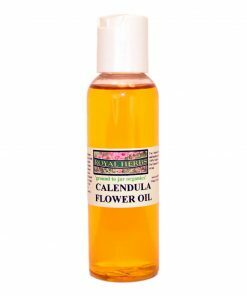 With astringent and anti-microbial properties calendula clears up rashes and other skin irritations and improves the immune system of the skin. 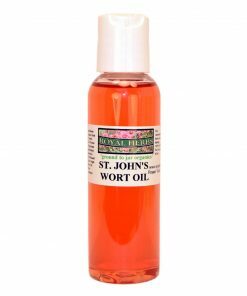 Sea to Sky wild harvested St. Johns Wort Oil is a topical treatment for nerve damage such as shingles, sciatica or carpel tunnel syndrome. 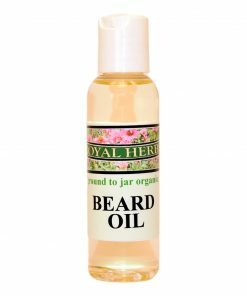 Beard Oil includes argan oil, sea buckthorn oil, jojoba and vitamin E to moisturize and condition the hair and skin. This is a west coast favourite featuring our Royal Herbs signature scent with Red Cedar and White Buffalo Sage. 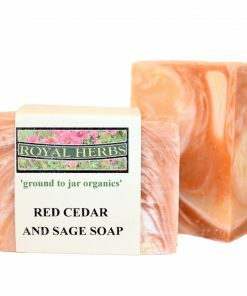 Royal Herbs 100% natural, vegetable based cold process bar soap is excellent for all skin types and contains no lauryl sulfates, surfactants or parabens. Our large 5oz bars are cured for a minimum of 6 weeks, lather beautifully and will last a very long time. Honey and Oatmeal offer a gentle exfoliation, healing and calming property and an amazing, unforgettable sweet almond scent. Royal Herbs 100% natural, vegetable based cold process bar soap is excellent for all skin types and contains no lauryl sulfates, surfactants or parabens. Our large 5oz bars are cured for a minimum of 6 weeks, lather beautifully and will last a very long time. 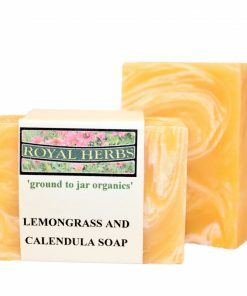 The uplifting scent of lemongrass is paired with the healing properties of calendula flowers. 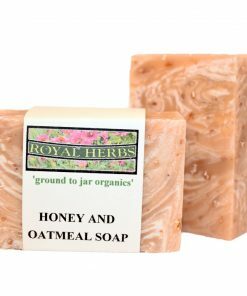 Royal Herbs 100% natural, vegetable based cold process bar soap is excellent for all skin types and contains no lauryl sulfates, surfactants or parabens. Our large 5oz bars are cured for a minimum of 6 weeks, lather beautifully and will last a very long time.